As a beauty/style blogger who works in software, I love seeing technology intersect with fashion and beauty in novel, interesting ways. Here, a new app and website that will make shopping local and finding natural and organic products that much easier. Shop local via Garmentory The recently launched retail site features picks from Vancouvers designers and boutiques, including personal favourites LYNNsteven, Violet, and Oliver & Lilly's. Best of all, users can place lower-than-retail-price bids on items in a Priceline-esque twist. 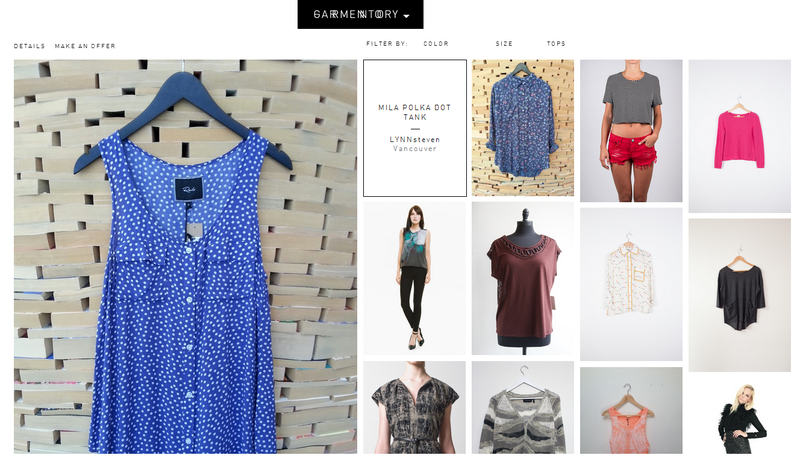 Saving your feet from pounding the pavement, keeping a few more dollars in your wallet, giving those who want to support local businesses a new way to shop—Garmentory is a win-win on all fronts. Buy non-toxic using ThinkDirty Deciphering beauty ingredients just got a bit easier thanks to the free iOS app ThinkDirty. 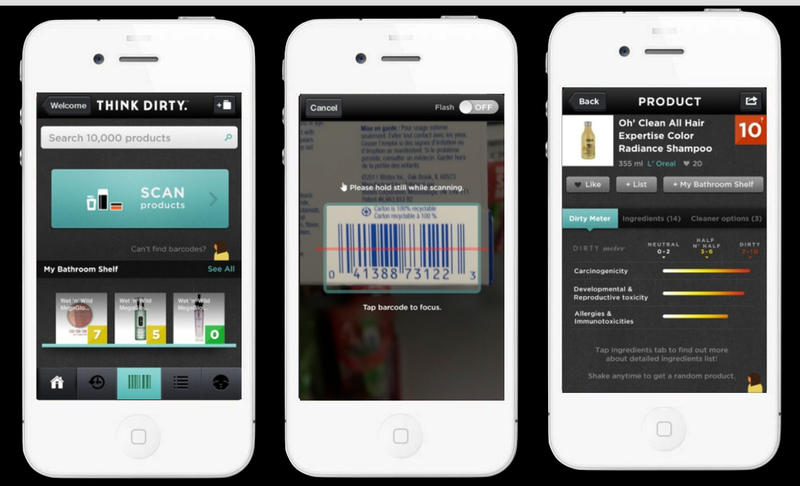 Simply scan a barcode with your iPhone, and ThinkDirty will, uh, do the dirty work for you by rating the product for carcinogenic, toxic, and allergy-inducing ingredients. The database of 10,000+ products is growing all the time; if the product you're wondering about isn't in it, you can submit it for further research. The app is intuitive and easy to use, but the nerd in me can't help asking: 1) Can the developers add push notifications to alert users when a product they've submitted has been researched and added to the database, and 2) When will it be available for Android? Any websites or apps you've been geek chic-ing out on lately? hmm these are interesting apps. I'm glad I'm out of the Blackberry world so I can finally have some good apps! Well, the first one is a website so it's device-agnostic. But yeah, I hear you: so happy I switched to iPhone. What do you have currently?